San Diego and Imperial Counties in California San Diego and Imperial Counties in California U-Pick farms: Find a pick your own farm near you in San Diego and Imperial Counties in California for fruit, vegetables, pumpkins, organic foods,local produce and more! 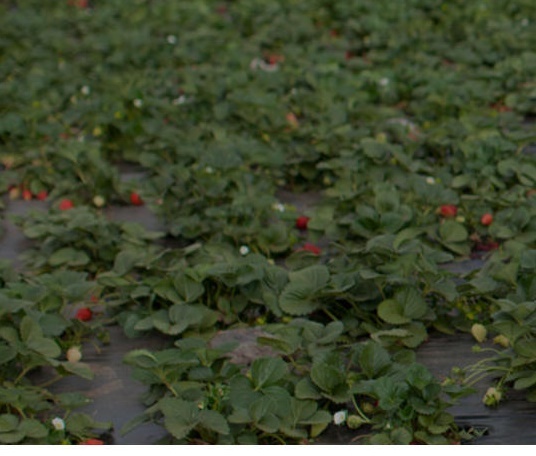 Looking for a local, pick-your-own farm in San Diego and Imperial Counties in California? Scroll down this page and you will see the U-Pick farms in San Diego and Imperial Counties in California, sorted by county. Those that offer organic or sustainably grown produce are identified by the words "organic" and/or "sustainable" in Green, next to their name (see "What does Organic mean?"). The U-pick crops they offer follow the name of the farm. To search the page for a specific crop, use Ctrl-F (or on an ipad or Mac, use their "search on this page" function) If they have a website, the name will be in blue and underlined; click on it and it will open their website. If you find anything outdated or inaccurate, see the customer and farmer menus (as appropriate) at the top menu bar to submit updates and corrections and help me keep each current! 1052 Julian Orchards Drive, Julian, CA 92036. Phone: (760) 310-6368. Email: [email protected]. Open: Daily by appointment only, for groups only, 10 bag minimum purchase; September 1 to October 15, or whenever the apples run out. Gastil Orchards is typically open to the public for U Pick for individuals on one Saturday in September h ONLY from 10:30 until the apples are gone.Directions: DO NOT USE GPS (it is usually wrong) Take highway 8 past Alpine to the highway 79, Julian, Descanso turnoff, turn left, north. Go about 2 or 3 miles and go left at the sign for highway 79 and Cuyamaca. Follow signs through Cuyamaca to Julian and turn left into town. Go north (straight) out of Julian on Farmer Road (Main Street) for just over 2 miles, across Wynola Road (straight at stop sign) to Julian Orchards Drive. Go past Volcan View Orchards, past Menghini Winery to the second to last building on the left - green and white. or Take highway 67 or 78 east to Julian, turn left, north. Go north out of Julian on Farmer Road (Main Street) for just over 2 miles, across Wynola Road to Julian Orchards Drive. Go past Volcan View Orchards, past Menghini Winery to the second to last building on the left - green and white. We have Red & Golden Delicious, Gala, McIntosh, Fuji, Granny Smith, Lady Apples and Heirloom apples. Free apple cider making with tour. 14797 Highway 76, Pauma Valley, CA. Phone: (760) 742-3614. Open: 7 days a week from 8 to 6 for picking both persimmons and pomogranates. 4200 Highway 78, Julian, CA, 92036. Phone: 760-765-3620. Alternate phone: 858-586-0392. Email: [email protected]. Open: Saturdays and Sundays during the season from 10am to 4pm, September to October. More than 100 types of apples and pears on 30 acres. Directions: Located on Hwy 78 at Calico Ranch Road between San Ysabel and Julian. Located in Spencer Valley, 3 miles from Julian. A visitor writes on May 26, 2014: "The prices have increased drastically. Two years ago our whole family filled a bucket & paid $10. It was a wonderful day out with the family. Took some great candids with the kids. Went back several times to buy from the stand. Today we went to the stand and for the whole family 3 kids and 2 parents to enjoy the same experience would be $50. The price is now $10 per person. Absolutely ridiculous!" 1055 Julian Orchards Drive. Phone: (760) 310-6368. Email: [email protected]. Open Saturday, August 31 and Sunday September 1, 2013 from 11 am to 3 pm. For individual u-pick. U-Pick - Open Labor Day Weekend! 4444 highway 78, Julian, CA 92036. Phone: 951-313-0166. Email: [email protected]. Open: Year around Saturday 10 am to 4 and Sunday 12 pm to 4; October hours Saturday 10 am to 5 and Sunday 10 am to 5. Directions: 3 Miles West of Main Street Julian on highway 78. Click here for a map and directions. Harvest tour includes cider pressing, hayride, and a visit to the animal corral This begins the last weekend of September through November. Payment: Cash, Visa/MasterCard. Spooky night-time hayride (not really spooky, just fun and totally kid-friendly!) please call in advance for reservations/payment. Available Saturday nights in October. We also have year around gem mining and gold panning as well as field trips featuring Pioneer Life, The Civil War, The Revolutionary War, The Gold Rush and Native Americans. Julian Mining Company also offers various living history tours and field trips such as the California Gold Rush, Civil War Adventure, Native American tour, and Creation Science tours. For those that 'drop by' a bag of mining rough can be purchased and used at the extensive sluice box, Gold Panning trough, or 'rockers' to reveal gold and other semi-precious gems and minerals. Other activities include tomahawk throwing and archery. Apple Season varies each year, based on the weather. Generally it can run anywhere from Aug/Sept. all the way through October. It is best to check back during this exciting time of year in Julian. (UPDATED: April 14, 2018, JBS) (UPDATED: May 28, 2018, JBS) . A visitor writes on May 28, 2014: "Had a great time with the kids cutting berries. " 1095 Julian Orchards Dr, Julian, CA 92036. Phone (760) 765-1174. Email: [email protected]. Open: U-Pick on Weekends, from 11 am to 4 pm; Weekdays by appointment only. We have been CCOF (Certified Organic) since 2004 to there are approximately 400 Pear trees Bartlett, Anjou, Bosc. We are a family oriented farm always keeping children in mind. In addition to Pears, there are Chickens, Goats & Horses. Bartlett and Comice are usually ripe around the second weekend in September. 3803 Wynola Road, Julian, CA 92036. Phone: (760) 443-3930. Email: [email protected]. Open: mid-September is the usual start of the Season; Saturday and Sunday with no appointment, Monday through Saturday 8am to 6pm , and by appointment only on Monday through Friday; Call or email for their dates and hours, and please ask them to update PickYourOwn.ORG.. U-PICK apple orchard. Plus Healthy Chocolate & Healthy Coffee. On the Grower-Lead Orchard and Farm Tour, you will see, taste and experience numerous examples of peaceful, biodynamic harmony. Private tours are available by advance appointment, year-round. You will observe and learn about composting, soil working and care, edible greens, beneficial bugs and more. Each person on the tour will be able to harvest and take home any crops currently available! The next Apple Harvest Season will begin in Late July/Early August. 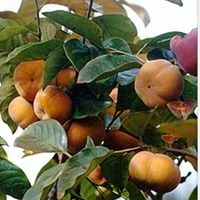 Come early in the season for Pears, Plums, Peaches, Apricots, Apples (Gravenstein, Granny Smith, Red Delicious, Golden Delicious, Trancendent Crab, Jonagold, Jonathon, Macintosh, Rome, Braeburn) and more! We offer Fruit, Vegetables, Flowers and Herbs (all of whichare never grown with any sort of pesticide, herbicide, or chemical), Grower-Led Farm Tours, Agriculture Based Classes, and Farm-to-Table Events. On the Grower-Led Orchard & Home Farm Tour, you will see, taste and experience numerous examples of peaceful, biodynamic harmony.You will observe and learn about how apples and pears grow, natural soil enrichment, beneficial bugs, edible greens, and more. ​ Each person on the tour will be able to harvest, eat, and take home any produce currently available. Agriculture Based Classes include Composting, Soil Enrichment, Grafting, Pruning and more. Please E-mail Farmer Bri and Farmer Josh for more information on upcoming classes. Our thoughtful Farm-to-Table Events are centered around our all natural produce and guaranteed to please. Please inquire for more information about hosting your eco-friendly party. 12630 Santa Catalina Road, Valley Center, CA 92082. Phone: (760) 742-1186. Email: [email protected]. Open: One Saturday each year, typically in late April. Admission Includes: 1 -1 lb container to Pick Strawberries, Guided Farm Tractor Tour, Petting Zoo, Little Kids Train Ride, All Access to the Playground. Our Farmers Market Stand will be Open 10am-4pm offering Fruits, Vegetables, Eggs, Honey, Jam, Juice and More! Also Available for Purchase: Tacos, Pizza, Salads, Smoothies and Gelato. Kids 4 and Under are Free. 15602 Old Hwy 80, Flinn Springs, CA, 92021. Phone: (619) 390-1523. Comments from a visitor on July 02, 2016: "There is a lot to do for children like making a fairy garden, corn mazes, sweet pea mazes. There is also herb paper making, herb soap making, herbal oil, vinegar, and more in there class schedule, Very child friendly, coffee bar with pastries, fun, touristy, and wonderful animals everywhere. A shop for those who want to buy the harvested goodies.. "
21345 San Pasqual Road, Escondido, CA. Phone: 760-746-8822. Open year-round. Fresh organic produce, U-pick strawberries, corn stock maze (in the Fall), petting corral, tortoise races, picnic area. School and group tours welcome. $5 per person and includes a pumpkin. Open through October 31, noon-6 pm. 1111 Julian Orchards Drive, Julian, CA 92036.